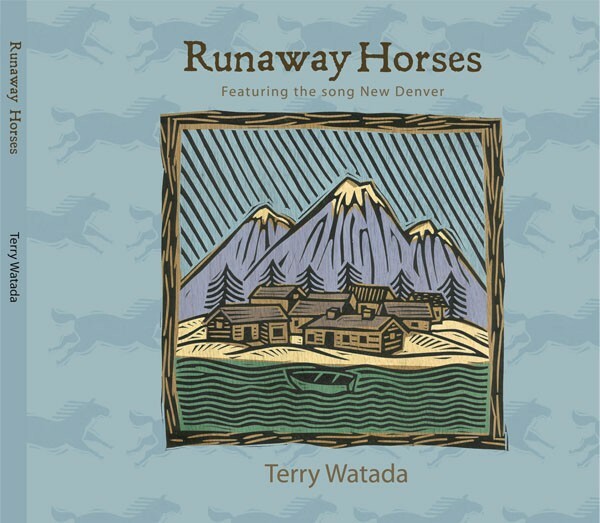 I was commissioned to create the art for a recently released CD by Canadian singer/songwriter, Terry Watada. My illustrations are hand-carved linoleum with colour applied in Photoshop. All profits from the sale of the CD will go to support the National Internment Memorial Center in New Denver, British Columbia.